Expert employment law advice faster and at lower cost. Comprehensive employment law advice for employers with step-by-step solutions for all situations. We provide employers with advice and support on every aspect of employment law. We cover all aspects of employment law, both at an organisation level and at an individual/employee level. We prepare submissions for the WRC and Labour Court and represent employers. Our track record is excellent. 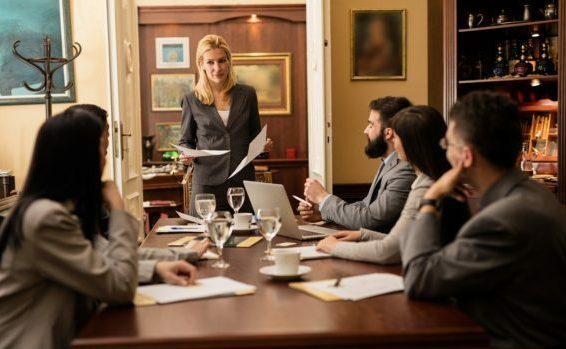 We prepare very strong submissions and represent employers based on our depth of experience and knowledge, detailed research, excellent communication skills (both verbal and written) and our detailed presentation of the case. We have significant experience in planning and implementing workforce change. This includes redundancies, voluntary severance, retirements, changes in pay, changes in terms and conditions, revisiting roles and job descriptions, and so on. We have worked with many employers across a variety of sectors to assist with individual, collective or organisational changes to negotiated or procedural agreements with unions. We assist employers with strategy and planning, meetings with unions, negotiations, conciliation, revisions to agreements, and so on. We provide employers with advice and support on every aspect of workplace relations or industrial relations. Support and guidance for all HR and IR issues. Our team will assist through face-to-face consultation and on-site negotiations and consultation to bring about an effective outcome for employers. We have worked across the public sector, corporate and private sector in conducting external, independent workplace investigations related to fraud, disciplinary/dismissal, and bullying/harassment. We have also conducted disciplinary hearings and appeals, as well as appeals following on from bullying investigations. Our team have a high level of expertise in this area. Our skills and expertise includes investigative skills, report-writing skills and a thorough knowledge of procedure. We also assist employers in conducting these investigations, procedures and appeals themselves, and in accordance with best practice and procedure. Where employers are considering merging or being part of a transfer of undertakings or a transfer of engagements, we assist with HR due diligence and pre-merger or pre-transfer planning, the process and the post-integration HR and IR issues. If you are planning a restructuring of your workforce, support and advice for the implementation of any compulsory redundancy or a voluntary severance programme it is essential to plan it carefully, to ensure it runs smoothly, staff are communicated with effectively and all the legal and consultation requirements are met. The need to accelerate change and transformation within an organisation may give rise to the need to plan and implement workforce restructuring. The need may also arise as a result of mergers and acquisitions and the integration needs which follows. A transfer of undertakings or a transfer of engagements arising from a merger or from outsourcing or contracting out situations also may give rise to the need to plan workforce changes. HR Due Diligence is a key area of due diligence in any merger or acquisition opportunity. The success of a merger will largely likely in the people, culture and organisational aspects. The key issues and risks should be identified and understood as early as possible. The detailed analysis of the above areas should provide the management team and Board with the information needed to identify key strengths, issues, costs and risks from a whole people, culture, talent, HR and organisation perspective. A comprehensive picture of HR (people, process, organisation, culture and technology) is essential in any merger or acquisition. Guidance and support on addressing identified HR issues and risks, managing pre-merger discussions, identifying post-merger organisation structures and preparing a post-merger HR integration plan will lead from the HR due diligence. Opportunities for consolidation, harmonization, HR efficiencies and cost savings will be identified and programmes developed from there. Successful post-merger integration is critical to achieve the business objectives arising from the merger. Research shows that a large percentage of mergers fail to achieve their stated objectives, and much of this can be related to problems with integration post-merger. These problems tend to focus around the HR area – people and culture. Different cultures and work styles. Leadership issues. And much more. Day one readiness for everything on the HR spectrum is essential for success. We have been assisting organisations in a range of sectors. Please contact us for more information on how we can help. The Protection of Employees on Transfer of Undertakings Regulations (TUPE) are designed to safeguard employees’ rights in the event of a transfer of a business, and to establish the responsibilities of both the previous and new owners of the business. Such a transfer can apply in a merger and acquisition situation, the contracting out of a business or the loss of a contract to another supplier. It is important first to establish whether a transfer of undertakings applies in each situation. Where it does, the employees of a business being transferred move to the new employer with their accrued years of service, existing terms and conditions of employment (excluding occupational pensions) and collective agreements to which they may already be subject. Under the Transfer of Undertaking Regulations, both the original employer and the new employer must inform the representatives of the employees affected by the transfer not later than 30 days before the transfer. Our team will help you to meet the obligations of the Transfer of Undertakings legislation and assist you with the consultation process to ensure a smooth transfer and that you meet your legal obligations. We have created comprehensive contract of employment templates and an employee handbook of HR policies and procedures, all of which can be tailored and branded for your organisation. We advise employers on the step-by-step process to follow. This is by phone and email and includes the drafting of all relevant emails and letters on the employer’s behalf . Our services can be availed of on an ad-hoc / as needed basis or we can be retained on an annual basis to provide an agreed range of services. Our service is available Monday-Friday, and on a retained basis, an employer has access to their dedicated HR Consultant/Adviser also on a Saturday/Sunday for emergencies. We bring our employment law and HR expertise together, and combine it with a sense of pragmatism, to create practical and creative solutions for employers. We provide employers with support and advice, by phone, email and on-site, for all employment law and HR matters. Click below for more information. If you are an employer and have any questions, please contact your CollierBroderick HR Advisor, call us on 01 8666426, contact us, or email us on enquiries@collierbroderick.ie. We work with leaders and teams to deliver solutions through people that improve business performance.